The Okinawa prefecture comprises a chain of islands – called Ryukyu islands – over a distance of about 1,000 kilometers, located in the South-West of Kyushu. Its capital is Naha. 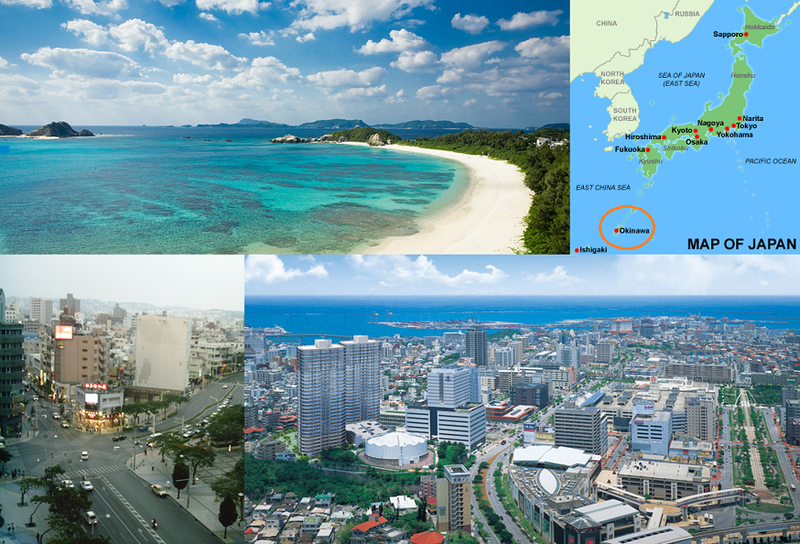 The region is famous for its heavenly landscape (most notably many natural parks, wonderful white-sand beaches) and its healthy food (Okinawans are known for living old). It is also where the US maintain important military installations.